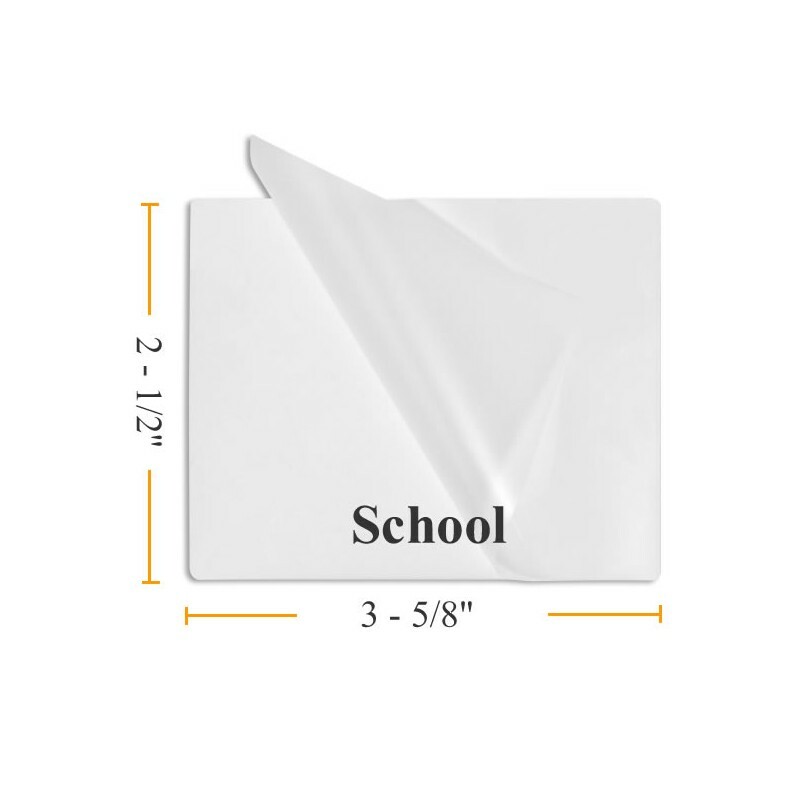 Pouch Measures 2 1/2" x 3 5/8"
School size lamination pouches are used to protect documents from wear and tear damage. Laminating Pouches are intended to be used in thermal pouch laminating machine. 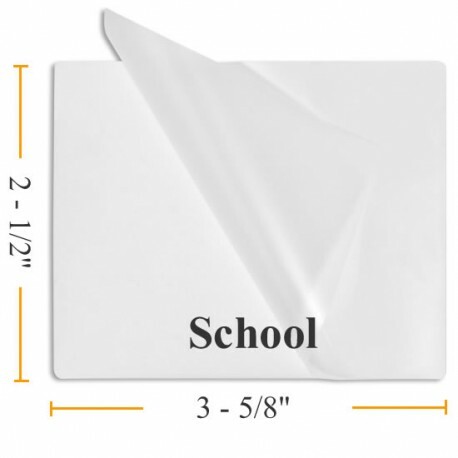 A laminating pouch is sealed on one edge for convenience. The document or item is placed inside the laminating pouch and placed in the hot pouch laminating machine to seal. Buy more and save more. We offer additional discounts from our already low prices for bulk orders.